The strongest and the most appealing feature of Android is that it allows users to tweak their user interface, add home launcher apps, sidebars, custom notification bar or set any third-party app as default app. You can customize the device the way you want using tons of custom launchers. Here are 5 different apps that adds a lot more features to your android user interface or allows you to control other devices with your phone. The app is simple to use but adds a lot to the User interface of the app screen by rounding the corners of the screen making the display look a lot appealing aesthetically. Roundr supports extension pack with 10 different corner styles and bunch of options like enabling and disabling the corners, setting the radius, black listing the apps where you don’t want the round corners and much more. The app is free but the extension pack costs you some money. Availability: Free on Google Play. Sidebar lite and Sidebar Pro are two apps that features a sidebar that can have a lot of functions other than just launching apps. The Sidebar features live running apps and running indicators, you can pin apps to the Sidebar, swipe running apps to kill them. 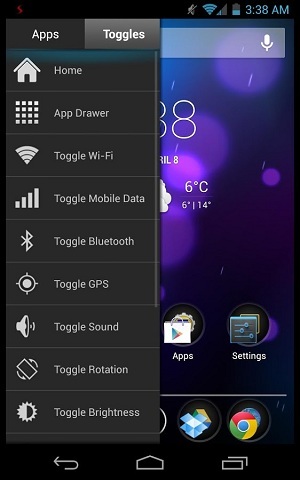 The app also features many widgets, ability to customize the app, ability to hide ongoing notifications. The app takes minimum RAM and battery on Android and comes with auto start on boot option. Availability: Free on Google Play, Paid version is available. 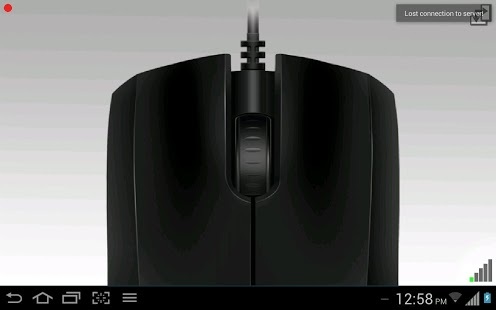 Accelerator mouse uses USB tethering or WiFi network to connect to the desktop app. The server app needs to be installed on the PC and this app acts as the client sending information about the device’s accelerometer to the PC. When you tilt the device up or down or even sideways the cursor of the PC or connected desktop will respond at your fingertips. For scrolling, you can use two finger gesture on the touch screen and for left, right and middle button click you have to touch at the corresponding areas on the touch screen. You can download the server app from the link given in the Google Play section of the app. This app can scan and detect all the open ports on host or on any local network. The developer has coded the app in such a way that it can scan 65535 ports in 5 minutes. The app also supports local database that can quickly look up for the specific function of the certain port. You can also look online for the most recent information on the port. 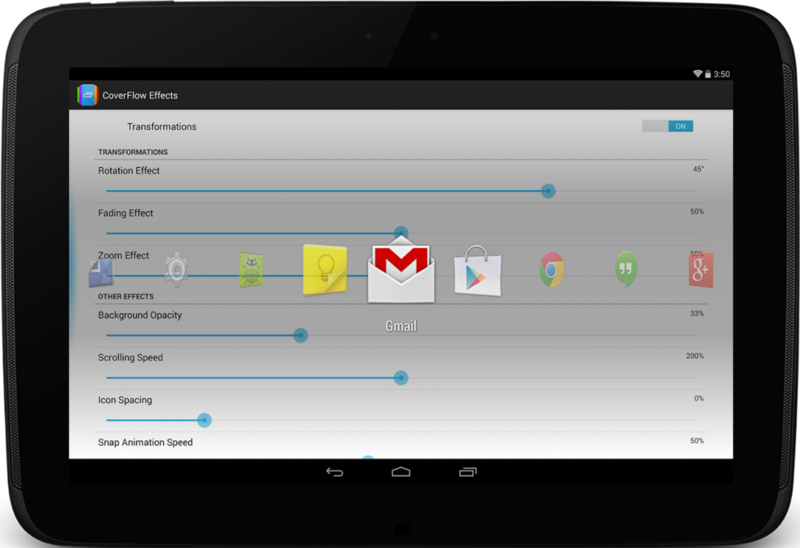 Switchr allows you to switch between recent or running apps with just touching any edge of the screen. The app supports different customization options and different types of Switchr animations with ability to deactivate or hide any app from Switchr list. 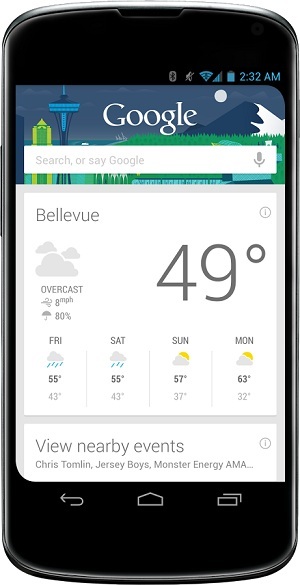 The app has a lot of customization options like features to swipe and close running app. Availability: Free on Google Play, Pro license available for purchase.